It is Y218, Neopian reckoning. Five years have passed since the world ended. A lantern lined path leads from an irradiated sea through a dense forest, where the vegetation sprawls in every direction. Bizarre plants grow taller than houses, and there are strange noises from the undergrowth. A neon-bright Sklyde appears at the crest of a ridge ahead, throwing its unnatural glow on the blue-purple vegetation. Everything is quiet; only the soft whisper of the waves breaks the stillness. After gaining her undergraduate degree at Kreludor Tech and later postgraduate qualifications at the University of Altador, Dr Novek joined the NeoSci team in Y200, working first in Facility VII and later XIX. Prior to this, she worked for a research centre in Altador, but left due to professional differences. Her specialism is in Neobioengineering, and she has pioneered multiple techniques in the creation of new species. Note: Novek has recently expressed discomfort regarding the security of the facilities. She has been spreading some dissent in the team. Management has been informed, and the Doctor is under heightened surveillance. Her communications with the outside are under restriction. All suspicious activity must be reported immediately. 5-Lupe: Awoooo! Big up to all you Neo-wastelanders out there, keep on keepin' on! As we all know, the Neopocalypse came along and ended the world as we know it just 5 years ago. 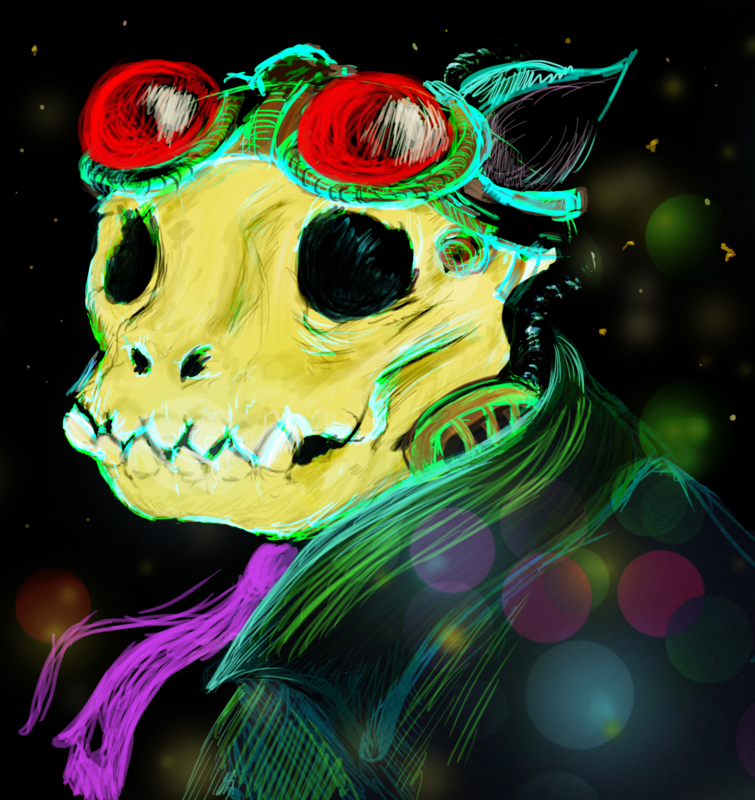 Things have been looking pretty dark out there, but Kreludor's finest radio station is here to keep your spirits up! Little slice of news for ya, it seems that those mysterious trails of lights we've been spotting from orbit actually lead somewhere! Our sources on the surface tell us that down in the desert where all this mess started, there's a do-gooder handing out purified water, ...[unintelligible static]... and free advice from her own specialist bunker. Her name is Dr. Novek, and we got her on the show right now via satellite hooked up by our good friends the Grungineers--shout out to those chill guys! Now, we ain't sure exactly where she came from, but here's what we do know...She's a Skeith, and she's hecka smart. Seriously, I hardly understood a word she said when we spoke earlier. But that's okay, friends, I think ...[static]... in the right place. How are you doing, Doctor? Novek: It's the end of the world. We're all doing the same. 5-Lupe: Ain't that the truth. So, Doc, where did you come from? Novek: Altador, originally, though it seems like a long time ago. 5-Lupe: Pretty sure all our listeners are feeling the same as you. And how did you escape the worst effects of the disaster? Novek: That's not something I'm comfortable answering. 5-Lupe: Alrighty then...uh...what can you tell us about yourself? Novek: I was a Neobiologist, before all this happened, working for NeoSci on some classified projects. Just like any 3rd-century Neopian, I thought the future was bright. Turns out, I was wrong. 5-Lupe: Uh-huh. I guess that explains your ability to survive. Now Doc, our sensors are picking up some pretty wacky signals around your position. We've been trying to map the area, but our read-outs have this weird green glow show up on the satellite imaging. Anything down there we should know about? Novek: Ah. It's probably just my Sklyde, Element 117. Novek: ...I suppose. I never really thought about it. Anyway, he got doused with some kind of glowing...substance, not long after the disaster. He's useful as a night-light now. 5-Lupe: Okay-dokey, well, thanks for clearing that up for us. 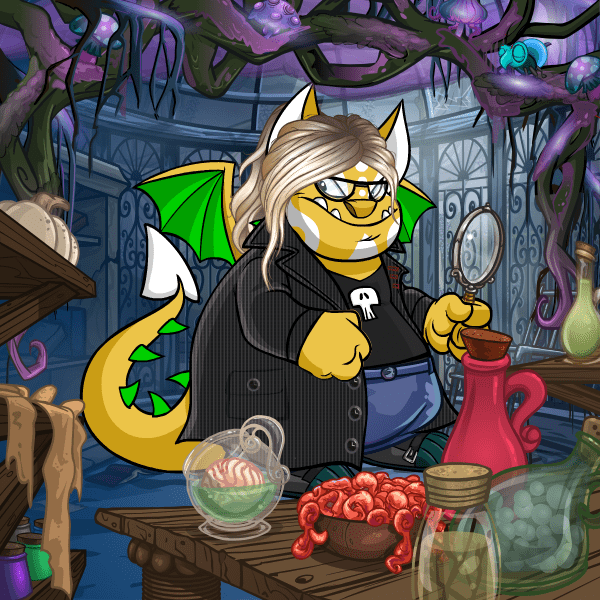 A lot of Neopians are worried, Doc--anything to say to those still stuck on the surface? Novek: You just need to know that I'm here to help. Anyone who needs a safe place, or supplies, or who's just lost their way...just follow the lights. I've got them out quite far now, in every direction. They all lead straight here, where it's safe. Er. Safer. I hope they're far enough. 5-Lupe: ... Anything you wanna tell us about that? Novek: It's irrelevant. The mutated virus that was released prior to the nuclear disaster had extreme effects on my biology. My mental faculties remain entirely intact and there is no danger of transmission. I have taken every precaution. 5-Lupe: Excellent...that's very reassuring, I'm sure. Got any extra tips to share with our listeners? Novek: Follow the lights. And don't drink the water without boiling it first. 5-Lupe: Great, great...well, good talking with you, Doc, it's been a blast. You heard her folks--follow those lights! 5-Lupe out! There are many secrets in Neopia. The 'pets living in the 3rd Neopian century will be much the same as they are today. But there has always been darkness below the surface, and there always will be. As you know, our planet is in crisis. The sudden Zombie outbreak has much of Neopia gripped by terror, and to make matters worse, there seems to have been some kind of incident involving terribly mutated vegetation. The Lost Desert and the immediate vicinity are completely overrun by enormous fungi. 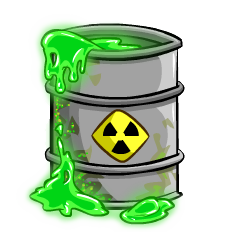 Reports are coming in from Shenkuu, Altador, Meridell and Brightvale, and it is suspected that the contamination has spread further. The mutated Zombie virus is believed to be highly contagious and spread through contact, however we have been unable to confirm any more details. Spores of the giant mushrooms are spreading so rapidly, we cannot contain them. My forces have retreated and we are now on Kreludor, forming refugee camps and organising evacuation efforts. 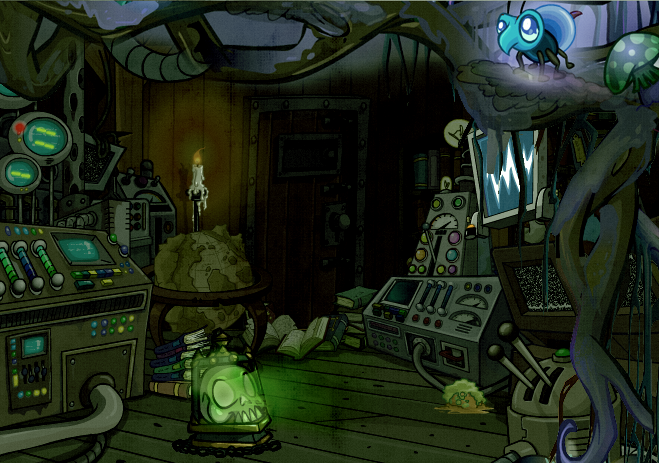 Our Grundo Engineers here on the moon have been working on a possible solution; however, I am hesitant to use it. A former NeoSci employee provided us with a quantity of the newly-discovered, highly unstable Element 117, and we believe we have harnessed its power to create a weapon. The 117 Blaster would unleash untold devastation. Please provide your input as soon as possible. My mission at the Space Station has, so far, been fruitless. The employees are less than forthcoming about anything we suspect they may know. I fear my presence here may be alerting whoever is behind all this to our efforts. My heart is against firing the weapon: not only would this potentially make the planet uninhabitable for the foreseeable future, but the cost to the citizens who still remain on the surface would be terrible. I will leave the final decision to Fyora; as she is on-planet and best placed to make the call. I fear the time has come to use the 117 Blaster. Communications from the rest of Neopia have been scant, but they are not promising. Faerieland is protected, and we will continue to work from the ground as much as we can, but this is a time for last resorts. Your Highness, I understand the seriousness of the situation. However, I am still deeply concerned about the effect on civilians. I must restate my reluctance to fire the blaster until we have exhausted all other options. At the very least, I request a further month to deploy more troops in the hope of getting citizens to safety. There are no other options left to us. Fire the weapon, Judge. Do not hesitate, and do not let the others know until it is done. Aim for the Lost Desert in the first instance, and then target any further areas that need to be cleansed. This is the only way to secure the future of our world. Do not fail us. The weapon was fired in Y213, and its nuclear blast shook the planet. The Neopia that is left is barren and desolate, shrouded in strange, swirling mists and choking storms. Ash and radioactive particles drift across the seas, seeking out any that have somehow escaped the disaster. Those who remain are either mutated beyond recognition, roaming the wastes endlessly as Zombies, or wanderers who proved resistant to the virus and are trying to rebuild their lives--or simply survive. Tales whispered around trembling campfires say that the Faeries have withstood the terror. It is said that in their towers, salvation can be found, if any will brave the journey. The world may have ended, but there's no need to give up hope. Follow these simple tips to ensure your survival in the inhospitable environments of New Neopia. You can go a few weeks without food, and even a few days without water, but without clean, unpolluted air your minutes are numbered. The full effects of airborne contamination are not yet fully understood, but it is recommended that you keep inhalation of unfiltered air to an absolute minimum. Possible consequences include Zombification, radiation poisoning, loss of appetite, headaches, dizziness, asphyxiation and...well, you get the picture. 1. Cut the bottom off the bottle, then cut a U shape so that it fits over your nose and mouth (neck pointed down). 2. Create a seal around the cut edge of the bottle using the rubber hose. If no rubber hose can be found, use strips of folded fabric. Secure with tape/glue. 3. Fold and roll the rest of the fabric to fit the neck area of the bottle--the more layers, the better. Charcoal, if you can find it, can be folded up inside the fabric to help absorb particles. 4. Use the string or elastic to create a tight strap to go around the back of your head, attach with tape or glue. 5. Soak the fabric in vinegar before use. Until you are able to salvage these materials (or find a filter mask), pull your shirt up over your nose and mouth or use a cotton bandana (or preferably several) as a primitive way to filter the air. After you can breathe properly, your next priority is to find somewhere safe and warm. Protection from the elements is vital--the cold is insidious and before you know it, you'll be in hypothermic shock and counting your extremeties as they drop off one by one. Finding an appropriate shelter already standing is possible, but these often need to be secured against the weather and any roaming wildlife. Choose somewhere on high ground for better visibility. Use rocks, vegetation, logs and scrap wood to construct barriers against the elements and Zombie attack. Although there is a concern that lighting a fire may draw unwanted attention, the freezing nights necessitate a source of heat. Further, water can be boiled and food can be cooked. Flasks of Liquid Fire, Fire Rings, Bottled Fire Faeries and other items are all useful in lighting fires, or there is the fallback of rubbing two sticks together. The entrance is concealed carefully, and locked tight against intruders. Everything inside is lit with an odd, pallid light, and particles of glowing substances drift in the stale air. All kinds of electrical equipment line the walls. From above, vines hang through the fractured roof, and insects buzz around exotic blooms. Piles of dusty books lie strewn across the floor. In one corner, there is an unmade fold-out camp bed. It doesn't look like anyone is home right now. Perhaps there's some time to explore. The outside world seems to be slowly encroaching on this tiny safe space. Rope-like vines snake down to the floor, covered with blue and green fungus. Some of them have been harvested, and are kept in specimen jars on the floor. Vivid blue Bumbluzzes are feeding on tiny spores released by the mushrooms. The door has a multitude of locks to secure it, and a sliding panel which reveals who might be calling. Pinned to one side of the door is a scrap of paper. Thank you for speaking with me earlier. I felt the need to follow up as I am not sure you appreciate the seriousness of my concerns. As we discussed, the structural integrity of the XIX Biodome is becoming increasingly unstable, and I fear it will soon be unable to contain the project. I have worked hard with my team on the samples of wildlife and plants within, and am extremely proud of our progress, but the new species are not yet ready to be unleashed. There are some which are far too fragile to withstand the outside environment. Further, the dome's collapse would risk not only the experiment, but the premature release of the subjects could have catastrophic consequences for the immediate vicinity. We have no idea how the new and native species will interact together; our projections cannot forecast what will happen with any degree of accuracy until we have gathered more data. I am sure that none of this is news to you, so I cannot understand why you have as yet failed to act. There are vital precautions that must be taken. I have drawn up a list of my recommendations (see attached) and would be more than happy to assist in implementing them. A trusted member of my team will soon be visiting the Virtupets offices, and I hope she will have the chance to demonstrate in person how easy, and more importantly necessary, these measures will be. As I explained to you in our meeting, Virtupets Inc. cannot sanction any further structural repair to Dome XIX. Our engineers have approved the current status and we are happy to continue as planned. Please continue to report on the outcomes of the harvest. Do not share your concerns with anyone else; again, the team here have judged them to be baseless and spreading the idea that the domes are unsafe will jeopardise the entire project. Virtupets Inc. -- Trust Us!